The American Film Market (AFM) began today in Santa Monica, California, and one of the first announcements out of the gate was casting for Shane Carruth's upcoming feature The Modern Ocean. Fans of Carruth (such as myself) have loved his past films Primer and Upstream Color not only for their enigmatic stories, but also for the independent spirit and creation behind them. So it comes as a bit of a surprise to see a list of names who will be starring in the film. Not only Anne Hathaway and Keanu Reeves, but also Daniel Radcliffe, Chloe Grace Moretz, Tom Holland, Asa Butterfield, Abraham Attah, and Jeff Goldblum. Carruth will also star, as in his previous films. Lawrence Inglee of Blackbird, Eyal Rimmon of Tadmor, and Carruth's erbp are set to produce. FilmNation are launching international sales at AFM this week. The Modern Ocean is set in and around cargo ships and trading, delving into the competition for shipping routes and valuable materials, set on land and at sea, that will culminate in an epic battle. This sounds not only far grander in scope than Carruth's previous films, but between the story and the casting, far grander in budget. While Carruth is one of the few indie filmmakers I would (in theory at least) throw a lot of money at, his films have worked in large part because of their intimacy, their resistance of grandeur, and their strange and low-budget routes to find the good and the bad in the human spirit. I hope that, given the production team, the film will still be Carruth's creative vision, perhaps something he's been waiting to make until he had the clout to do so. The cast might be somewhat at odds with the indie spirit, but these are actors who have worked in indie film, and hopefully, even if The Modern Ocean is an epic, it will be a Carruth-style epic, and that would be fine with me. Plus maybe this way it won't be ten years between movies. Nice photo in this article. 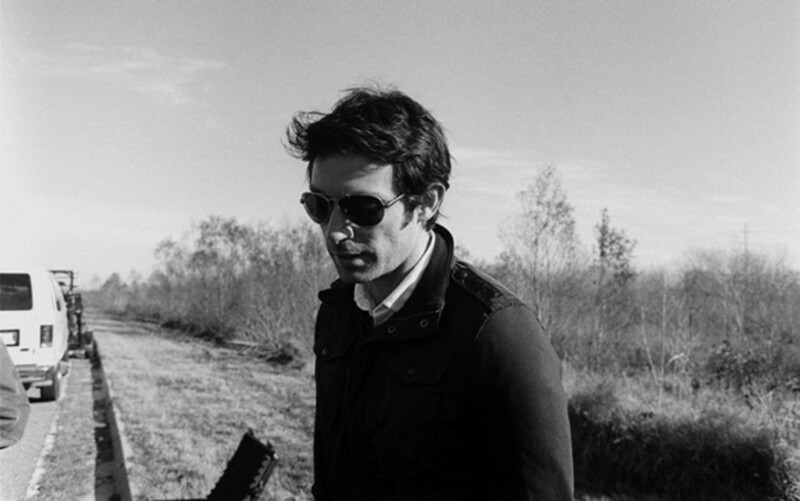 I believe that is from the set of LOOPER. I remember reading about this script after the release of upstream color, probably on this site. Carruth does not write screenplays like most writers. A Topiary, which you can find online, is one of the most difficult works of writing I have ever read and I'm a librarian that reads everything. This guys mind is working on another level.